IRBs created a bridge from the research lab into the marketplace for Canadian innovators; ITBs can do the same, and with the new Value Proposition, even more. Despite the fact that Canada has enjoyed decades of growth and prosperity, and weathered the Great Recession better than most other western economies, our country has a troubling Achilles Heel. We are comparative laggards in terms of investment in research and development, and, not coincidentally, have a continued productivity gap with our biggest trading partner. Indeed, in its 2013 report, the Expert Panel on the State of Industrial R&D found that as a percentage of GDP, IR&D spending in Canada is now roughly half the U.S. level and falling. But in the face of our strong economic fundamentals, why does this matter? Because the world is changing. In an increasingly global economy, knowledge and technology are the engines of economic success, and investments in R&D fuel them. The government of Canada has long recognized the need to use the policy levers at its disposal to stimulate investments in R&D. Since spending on defence and security are big ticket items for any government, Canada, like its allies, has an offset policy in place to extract long-term economic dividends for Canada from the companies that win big contracts by making them invest an equivalent amount in industrial development and economic activity across the country. Until recently, this policy was known as the Industrial and Regional Benefit or IRB policy. According to Industry Canada, over the last decade, the IRB policy was applied to 72 procurements, resulting in commitments by winning firms to create some $25 billion of economic activity in Canada, more than half of which have been fulfilled already, with the rest scheduled to unfold as programs advance. In recognition of its high value as a catalyst, investment in R&D was highly rewarded (multiples of face value) under the IRB policy. As a result, companies in the defence and security industry invested heavily in research at Canadian universities and technology institutes across the country, changing the future of many innovative Canadian researchers and entrepreneurs. Today, under the government’s new Defence Procurement Strategy (DPS), the IRB policy has evolved into the Industrial and Technological Benefits (ITB) policy. Under this framework contractors will continue to be obliged to meet similar criteria as existed under the IRB policy, including the mandatory requirement to deliver the equivalent of 100 percent of their contract values in validated Canadian economic benefits. The main shift under the DPS is the introduction of weighted and rated Value Propositions (VPs). Using this powerful government lever, VPs will now be assessed along with technical merit and price to determine winners in defence procurements. The VP requirements will oblige bidders to compete on the basis of economic value to Canada in areas such as long-term sustainability and growth of Canada’s defence sector; supporting the growth of Canadian suppliers (including small and medium enterprises (SMEs); enhancing innovation through R&D in Canada; and, export potential of Canadian-based firms. So, investment in R&D remains a priority of the ITB policy. However, by my reading of the recently released ITB Policy: Value Proposition Guide, it seems that the policy may have a somewhat narrower focus, with greater emphasis on investments that are directly tied to the Canadian defence and security sector. Indeed, it seems that companies will likely be able to maximize their VPs for commitments that connect to all of the categories; for example, investing in R&D that can be shown to have benefit in the defence sector, leading to strengthening Canadian suppliers and with the potential to influence exports. Will this lead to the same levels and quality of investment in R&D? As a result of the old IRB policy, Lockheed Martin alone has invested $32 million in Canadian universities and technology institutes over the last five years. As we engaged more with Canadian businesses and universities, we found a depth of knowledge and a quality of research being done in Canada equal to the best in the world. We discovered that with strategic and focused investments, the IRB obligations could turn into a win-win-win situation with big upsides, not just for the Canadian companies and universities we invest in, and for Canada, but for us too. So in 2008, we decided that, rather than research for research’s sake, we would focus our IRB investments in practical areas, areas with the potential to provide real world solutions to problems, areas with strong potential for commercialization that Lockheed Martin was exploring for its own strategic reasons as well. And thus was born what we called IRB-enabled Entrepreneurship. A perfect example of this approach at work is the collaboration between Lockheed Martin and D-Wave. Lockheed Martin designs some of the most advanced and elaborate systems in the world; systems that command and control military aircraft and ships, for example. Roughly half the cost of creating such systems is on verification and validation. Verification and validation is work done to assure the quality and reliability of the system, including the elimination of errors from both the computing layers and physical layers of an integrated system. When we wanted to explore approaches that might reduce the time and cost for verification and validation, we put together a consortium of Canadian universities led by Dalhousie University and a small company in British Columbia, D-wave, that was starting to be recognized for world-class work in the area of quantum computing. We tested them first, by sending them a 30-year old block of code with an error in it as a sample problem to run on its system, using Dalhousie’s algorithms. It had taken our best engineers many months to find the error 30 years ago. It took D-Wave six weeks. We were impressed. Here then was a core group of academics and entrepreneurs working in an area with the potential to provide real-world solutions. And not just to our verification and validation needs. Potential applications for quantum computing include any area that deals with complex systems and masses of data, such as software development, financial risk analysis, or even the detection of patterns in genetic data, potentially leading to new treatments for diseases like cancer, for example. So we began making investments in D-Wave, Dalhousie and its consortium partners at the University of British Columbia and Université de Sherbrooke. In late 2010, Lockheed became D-Wave’s first customer, buying their D-Wave One system, the first commercial quantum computer in the world. In 2013, we purchased the D-Wave Two, a newer, higher-power model that uses more qubits. D-Wave is now a world-leader in quantum computing that counts NASA and Google among its customers. A revolution in computing hardware always opens exciting new opportunities in the world of software, so here’s an example of IRB-enabled Entrepreneurship in that area. We are now supporting the work of another group of innovative Canadian entrepreneurs, this time on the East Coast, with significant investments in a new company called Quantum Research Analytics (QRA), a spinout of the Dalhousie-led consortium, that opened its doors in Halifax a year ago, with Lockheed Martin as its first customer. The company will develop and market application software for the D-Wave computers to address the multi-billion dollar worldwide need for verification and validation software and services. 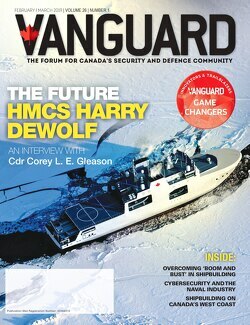 Taking such forward-looking business risks would not have been in the cards for us without the IRB policy, so, it can truly be said that the IRB policy solidified a world-leading role for Canada in a promising new field, with applications that go far beyond the defence and security sector. I welcome the new ITB policy, and applaud the addition of the Value Proposition. With a strong focus on innovation the bridge building between Canadian labs and the global marketplace will continue apace, and in a few years we can look back on successful examples of ITB-enabled Entrepreneurship. Quantum computing, still in its infancy, represents a leap forward in computing. The underpinnings of quantum computing are complex and somewhat controversial. Suffice it to say that whereas classical computers operate in a linear way, requiring data to be encoded into binary digits (bits), each of which is always in one of two states (0 or 1), quantum computation uses qubits (quantum bits), which can be in more than one state simultaneously: a 1 or a 0, or both at the same time. Eventually, large-scale quantum computers will be able to quickly solve problems that would take today’s computers centuries to solve. Dr. Nat Shankar, now Technology Manager for India, was Regional Technology Manager, Canada for Lockheed Martin. He was responsible for developing technology relationships with universities and industry in Canada.